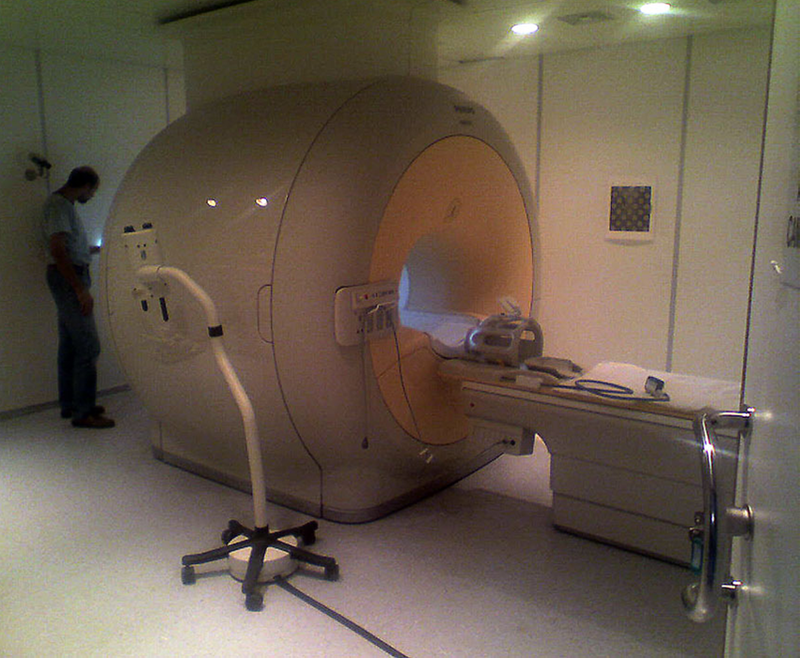 Functional magnetic resonance imaging (fMRI) is a noninvasive neuroimaging technique that detects changes in neuronal activity indirectly by means of the accompanying hemodynamic changes. The most popular fMRI approach currently employed is the blood oxygenation level dependent (BOLD) signal, sensitive to changes in cerebral blood flow, cerebral blood volume and cerebral metabolic rate of oxygen. The origin of the BOLD signal variation is related to the magnetic properties of oxyhemoglobin and deoxyhemoglobin: hemoglobin is diamagnetic when oxygenated and paramagnetic when deoxygenated. The presence of deoxyhemoglobin alters the local magnetic susceptibility, creating magnetic field distortions within and around the blood vessels. This microscopically inhomogeneous field produces a slight reduction in the local MR signal. Following increased neural activity in the brain, the local cerebral blood flow increases much more than the cerebral metabolic rate of oxygen. Because the local blood is more oxygenated, there is less deoxyhemoglobin present, the magnetic field distortions are reduced, and the local MR signal increases slightly with activation. FMRI allow to map patterns of spontaneous activity in the brain during resting state or to map patterns of activation during performance of specific tasks or sensory stimulation. BOLD contrast functional images are usually acquired by means of T2* weighted echo-planar sequences, allowing whole brain coverage with a sampling rate of about 2 s. Then the time course of each image voxel is analyzed to detect signal variations that show a significant correlation with the experimental paradigm alternating rest and task periods or are related to spontaneous activity. Model driven or data driven functional image analysis approaches can be used in order to obtain statistical activation maps that are usually superimposed on high resolution structural images for visualization purpose.